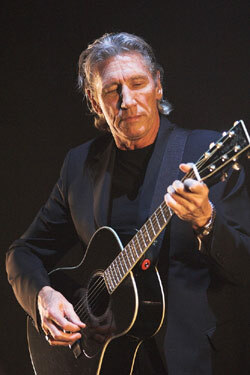 Roger Waters told a BBC interviewer that he regrets his 1985 decision to take legal action in an attempt to prevent David Gilmour and Nick Mason from continuing to use the name Pink Floyd in performances without him. Asked about the lawsuit, Waters said, 'I did think that was wrong, and I was wrong!' He also revealed that he is working on new material for what will be his first solo album in nearly a decade. It sounds as though it will be a concept album relating to recent 'breakthroughs' he recently experienced, Waters saying, 'I've had a very, very strong idea, and I shall pursue it', and adding, 'I am really looking forward to sinking my teeth into it.